+ 1. There are such a lot of Massage Techniques. How do I know which one is for me? 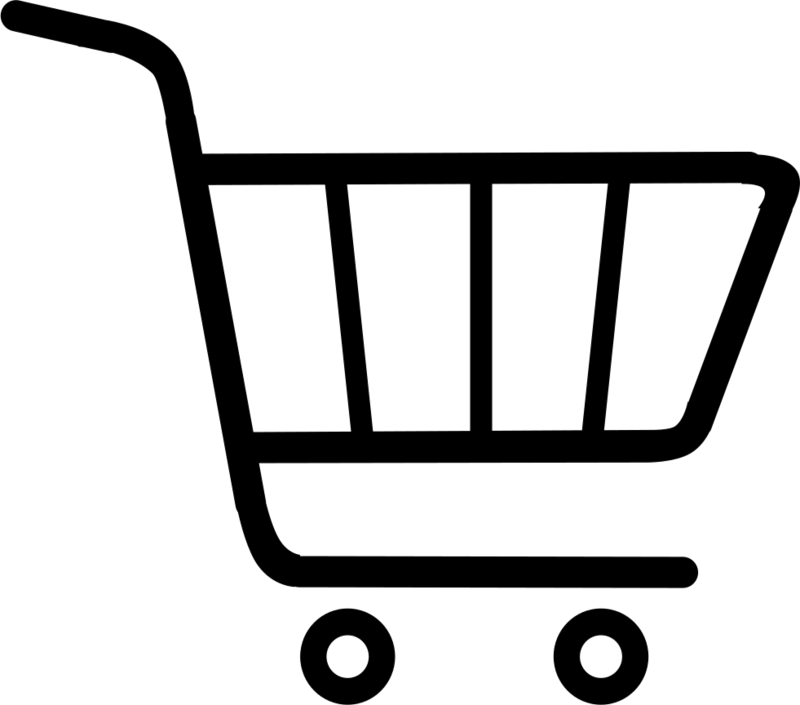 Choose from the following short list according to your personal preferences and beliefs. 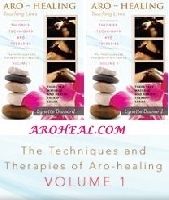 Aro-healing Massage Technique is a combination of Aromtherapy and Shiatsu Techniques and involves firm, rhythmic massage movements. The thumbs are used at all times to exert firmer pressure. Massage is only with the thumbs. The other fingers anchor them in place and do not help with the massage. Aro-Reflex Stimulation—No meridian therapy. Works more on the concept of lymph blockage and clearing of any congestion in the body. Declogs a sluggish system. It allows the blood to circulate and remove toxins from the body. ARC—Reflex Stimulation and Bodywork—It stimulates specific reflex arcs in the body. It improves the reflexes of the body for sports training—e.g. boxing. Arochology Pressure Point Therapy—Aro-Reflex Stimulation combined with ARC—Reflex Stimulation and Bodywork forms an all-in-one complete new Therapy called Arochology Pressure Point Therapy. It specializes in Primitive and Adult Reflexes and Brain Pathology. Acupressure—based on the principles of acupuncture, this ancient Chinese technique involves the use of finger pressure on specific points along the body to treat ailments such as tension, stress and arthritis. Alexander Technique—The Alexander Technique is an awareness practice for identifying and developing discipline over the negative physical habits of incorrect posture and movement. ARC—Breathing and Posture Technique—I began this technique of awareness when I discovered that a wide variety of medical problems are caused by an incorrect breathing technique and bad body posture. ARC—Breathing and Posture Technique replaces bad body posture and incorrect breathing with natural poise, helping you to move gracefully and effortlessly without unnecessary strain. Amma Therapy system of bodywork therapy uses traditional oriental medical principles for evaluating imbalances in the energetic system. It aims to restore, promote and maintain health through the treatment of the physical body, bioenergy and emotions. Chakra Massage—A staple in the Ayurvedic medicine therapies. This stimulating massage has been done for centuries to harmoniously realign and rebalance our “sacred pools of light and energy”. One version has been done with stones in the past. 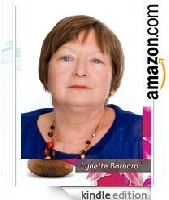 In this age, a unique and enhanced format combines the peaceful “laying of stones” with the option to massage the body and its associated energy centers for an incredible connective experience! Created by master craftsman and artisan, Fred Harrison of Stonehenge, and acupuncturist, metaphysician Andrew Pacholyk of Peacefulmind.com, this brand new approach to healing utilizes the “yin” of stillness with the “yang” of movement to create a unique health care tool. Craniosacral Therapy—Within the craniosacral system is the cerebrospinal fluid that moves in a slight but perceptible tide-like manner. Craniosacral therapists assist in facilitating change in areas of restriction where this tide-like motion is limited, confined and immobilized. Feldenkrais system of bodywork is developed to improve posture, movement, and breathing. Method teaches recognizing and breaking improper habits of movement. Hellerwork is a somatic education and structural bodywork which is based on the inseparability of body, mind, and spirit. Myofascial release, movement awareness, and dialogue are the essence of the sessions enabling one to move more fluidly, have stamina, strength, and increased energy. Hot Stone Massage—The Hot Stone Massage concept was founded 5000 years ago. Ayurveda, the ancient healing tradition of India, spoke of a universal source of all life. Hot stones are positioned on the body and some are gently manipulated with light pressure being exerted on the warm stones to invigorate this universal life force. Infant massage is usually taught to new mothers as a way of bonding with their newborn and to encourage infant health. 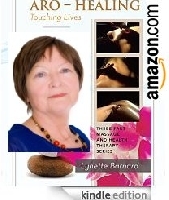 It incorporates nurturing touch, massage, and reflexology in a loving, fun, one-to-one interaction. Medical Massage—Medical or Clinical massage deals with the dysfunction of the soft tissue or range of motions of the joints. This type of massage is usually after an injury or due to overuse of muscles. It is important that the injury is assessed as soon as possible after the injury. The longer an injury is untreated, the longer the recovery time. Reflexology—is a healing technique using points and reflex zones on the hands and feet that correspond to internal and external pathways of the body including the organs and musculoskeletal system. Concentrating on these points, using various techniques, has shown an increase in blood circulation, a decrease in stress levels, a boost in the digestive system and an improvement in the nervous system. Reiki is a healing system of using light hand placements to channel healing energies. It is used to treat emotional and mental distress, chronic and acute physical problems and to achieve spiritual focus and clarity. Rolfing is deep manipulation of the fascia to restore the body’s natural alignment. This involves a series of sessions, each focusing on a different part of the body. Shiatsu involves the rhythmic pressing of acupressure points for short periods. The thumbs are used whenever possible because they exert firmer pressure. “Shiatsu” means finger pressure in Japanese. Swedish is the process of using soothing, kneading strokes to “warm-up” the body. Then a rolling and squeezing of the specific muscle groups are done to relieve soreness by clearing away lactic acid. Tantra—Based on the Tantric school of thought. Tantric combines the principles of yoga and meditation to weave together sensuality and spirituality. It is rooted in ancient Hindu and Buddhist texts and practices dating back to the sixth century A.D.
Tui Na—Known as the grandfather of all massages, Tui Na was developed in China over 5,000 years ago. This Oriental bodywork encompasses Reflexology, Accupressure and Massage. Tui Na works on the energy channels and points on the body using the same principles as Acupuncture. Instead of needles, the hands and fingers are used. + 2. What is Aromatherapy? Aromatherapy is an ancient healing art—it uses essential oils, the natural perfumes of plants to prevent and treat health problems. It is to relax, lift the mood and sharpen the concentration. Through the years aromatic oils were used for a variety of medicinal purposes. essential oils again. Complementary and Alternative Medicine gained popularity and recognition once again. Aromatherapy is an instant self-help—easy to use—any time—and very efficient. + 3. Please tell me more about Aromatherapy for relaxation. What does Aromatherapy help for? Aromatherapy’s benefits occur as the oils are absorbed through the skin and the inhaled scent reaches the brain. There are a number of common conditions which can be helped by Aromatherapy. These include insomnia; headache and migraine; depression; digestive problems; skin complaints; poor circulation; rheumatism; sinusitis; depression; anxiety and stress. Aromatherapy is also used more frequently in conventional medical settings to help treat a wide variety of patients—including those with cancer, mental illness, and muscular-skeletal problems. + 4. Will it massage, relax, lift the mood, soothe, sharpen, concentrate, invigorate or energize? This depends on the oils used. It is a popular, professional therapy—an instant self-help. Aro-healing uses a different set of essential oils than an aroma therapist and an aroma therapist has a different set of massage techniques than Aro-healing. + 5. How do I use Aromatherapy Essential Oils? One of the simplest and most common ways of using essential oils is by diluting them in a carrier oil such as coconut or almond oil and then to massage them into the skin. The oils can also be added to bath water; used in inhalations, compresses or as room fragrances. Therapeutic—Aromatherapy, Bathing, Vaporisation, Inhalation, Blending, Neat Application, Douche; Cold and Hot Compress; Flower Water; Hair Care; Skin Oils and Lotions. breathing deeply. Soothing—Geranium, Cedarwood, Camomile and Lavender. Revitalizing—Clary Sage, Tangerine and Ylang Ylang. To soothe aching feet—4 to 5 drops of Peppermint, Lavender or Tea Tree in footbath. Soak for 10 to 15 min. the advice and monitoring of a qualified practitioner. Application: Simplest and most common way of using essential oils—dilution in a carrier oil i.e. coconut or almond oil—then massage into body. There is a wide selection of oils available—some are more suitable for home treatment. Available from therapists, chemists, herbal and health shops. + 7. Where do I buy Essential Oils? Essential oils are available from Aromatherapists, some chemists and herbal or health shops. The most expensive, potent and desirable are those that come in ‘pure’ form. Others may already be diluted in carrier oil, or even be synthetically manufactured. The synthetic oils will provide scent but little therapeutic benefit. + 8. Where do I find an Aromatherapist? You can find Aromatherapists at many complimentary healthcare centres, physiotherapy clinics, health spas and beauty salons. Many work from their homes or places of business. Not all are qualified or experienced. When choosing a therapist, try to obtain a recommendation from someone you trust or a professional body. + 9 What a few of the 100 percent Pure Essential Oils used by Aro-healing. Bergamot—Uplifting, refreshing oil—ability to balance emotions. Blends well with Lavender, Chamomile. Therapeutic and Other Uses: Acne, boils, cold sores, exzema, insect repellent, insect bites, oily complexion, psoriasis, pimples, varicose ulcers, wounds, halitosis, mouth infections, sore throats, tonsillitis, flatulence, loss of appetite, cystitis, vaginal discharge, pruritis (itching), thrush, colds, flu, fever, infectious diseases like measles, anxiety, depression and stress related conditions. Safety Data: Due to its phototoxic effect, the use of this oil prior to sun exposure could cause sensitivity and skin pigmentation. Use with caution in pregnancy and avoid in problematic pregnancies. Clary Sage Relaxes the muscles, soothes headaches. Blends well with Juniperberry, Lavender, Geranium, Sandalwood and Bergamot. Therapeutic and Other Uses: Acne, boils, dandruff, hair loss, inflamed conditions, oily skin and hair, conjunctivitis, ulcers, wrinkles, high blood pressure, muscular aches and pains, asthma, throat infections, whooping cough, colic, cramp, digestive problems, flatulence, lack of menstruation, painful menstruation, vaginal discharge, labour pains, depression, frigidity, impotence, migraines, nervous tension and stress related conditions. Safety Data: Do not use while drinking alcohol—can induce narcotic effect and exacerbate intoxication. Avoid when driving. Hypoglycemics may develop low blood pressure. Avoid during pregnancy, except during labour. Eucalyptus Used to clear, uplift, brighten, stimulate. Clears head, eases breathing. Blends well with Peppermint, Lavender, Rosemary. Therapeutic and Other Uses: Burns, blisters, cuts, cold sores, insect bites, insect repellent, lice, skin infections, wounds, muscular aches and pains, poor circulation, rheumatoid arthritis, sprains, asthma, bronchitis, catarrh (excessive phlegm), coughs, sinusitis, throat infections, cystitis, vaginal discharge, colds, flu, chickenpox, measles, debility, headaches and neuralgia. Safety Data: No essential oil should be ingested. When taken internally, Eucalyptus has proven to be fatal. Not to be used by those who suffer from high blood pressure or epilepsy. Use with caution in pregnancy. Geranium Delightful floral fragrance, acts as general tonic—balances emotions. It blends well with Lavender, Sandalwood and Bergamot. Therapeutic and Other Uses: Acne, bruises, broken capillaries, burns, congested skin, cuts, dermatitis, eczema, haemorrhoids, lice, oily complexion, mature skin, mosquito repellent, nervous tension, neuralgia and stress related conditions. Safety Data: Geranium can cause contact dermatitis in hypersensitive individuals. Use with care. Hypoglycemics may develop low blood pressure with Geranium usage. Use with caution in pregnancy. Avoid in problematic pregnancies. Juniperberry Balancing oil—detoxification effect. Woody scent—blends well with Sandalwood, Clary Sage, Lavender, Rosemary, Geranium. Therapeutic and Other Uses: Acne, dermatitis, eczema, hair loss, haemorrhoids, oily complexion, skin toner, hair toner, wounds, accumulation of toxins, arteriosclerosis, cellulitis, gout, obesity, rheumatism, lack of menstruation, cystitis, painful menstruation, vaginal discharge, nervous tension and stress related conditions. Safety Data: Due to its nephrotoxic effect, people who suffer with kidney problems or disease should not use Juniperberry. It is best to use this oil in moderation. Juniperberry stimulates the uterine muscles—should not be used in pregnancy. Lavender Relaxes the mind and body. It aids in restful sleep and depression. It blends well with Eucalyptus, Ylang Ylang, Peppermint, Rosemary, Clary Sage and Geranium. Therapeutic and Other Uses: Abscesses, acne, allergies, athlete’s foot, boils, bruises, burns, dandruff, dermatitis, earache, eczema, inflammations, insect bites and stings, insect repellent, lice, psoriasis, ringworm, sores, pimples, sunburn, wounds, lumbago, muscular aches and pains, rheumatism, sprains, asthma, bronchitis, catarrh (excessive phlegm), halitosis, laryngitis, throat infections, whooping cough, abdominal cramps, colic, digestive problems, nausea, cystitis, painful menstruation, vaginal discharge, flu, depression, headaches, high blood pressure, insomnia, migraines, nervous tension and stress related conditions, PMT, sciatica, shock and vertigo (dizziness). Safety Data: People suffering from low blood pressure should not use Lavender. Hypoglycemics may develop low blood pressure with Lavender usage. Avoid in first trimester of pregnancy, thereafter use with caution. Peppermint Invigorating, refreshing oil—use to massage tired, aching muscles. Blends well with Rosemary, Lavender, Eucalyptus. bronchitis, halitosis, head colds, sinusitis, spasmodic coughs, colic, digestive problems, flatulence, cramps, nausea, colds, flu, fevers, fainting, headaches, migraines, mental fatigue, nervous stress, and vertigo (dizziness). Safety Data: Those suffering from insomnia, asthma, epilepsy, and high blood pressure should not use Peppermint. Use with caution in pregnancy. Rosemary It is an uplifting oil used to energise and stimulate the tired mind and muscles. It blends well with Eucalyptus, Peppermint and Lavender. Therapeutic and Other Uses: Acne, dandruff, dermatitis, exzema, greasy hair, insect repellent, regulates sebum, promotes hair growth, lice, varicose veins, arteriosclerosis, fluid retension, gout, muscular pain, palpitations, poor circulation, asthma, bronchitis, whooping cough, colitis, digestive problems, flatulence, liver problems, liver detoxification, high cholesterol, painful periods, vaginal discharge, colds, flu, infections, headaches, low blood pressure, neuralgia, mental fatigue, nervous exhaustion and stress related disorders. Tea Tree Eases symptoms of colds and flu—strong antiseptic qualities. Blends well with Lavender, Clary Sage, Rosemary, Geranium. Therapeutic and Other Uses: Abscesses, acne, athlete’s foot, blisters, burns, cold sores, dandruff, insect bites, oily skin, rashes (nappy rash), spots, veruccae, warts, infected wounds, asthma, bronchitis, catarrh (excessive phlegm), coughs, sinusitis, whooping cough, colitis, digestive problems, flatulence, thrush, vaginitis, cystitis, pruritis (itching), colds, flu and infectious diseases such as chickenpox. Safety Data: Tea Tree may cause sensitisation in some individuals. Use with care. People suffering from epilepsy should not use it. Use with caution in pregnancy. Ylang Ylang Creates harmonising, calming effect on the mood. Soothes and inhibits anger born of frustration—aphrodisiac properties in men. Blends well with Lavender, Bergamot. Therapeutic and Other Uses: Acne, promotes hair growth, insect bites, irritated and oily skin, general skin care, high blood pressure, palpitations, depression, frigidity, impotence, insomnia, nervous tension and stress related conditions. Safety Data: Those suffering from low blood pressure should not use Ylang Ylang. Use in moderation—its scent can cause headaches and nausea. Hypoglycaemics may develop low blood pressure with Ylang Ylang usage. Use with caution in pregnancy. Sensuous, exotic oil,—powerful aphrodisiac, stimulates sexual desire. Sedative effect on nervous system. Comes in ‘pure’ form—others already diluted in carrier oil, or synthetically manufactured. carrier oil, or synthetically manufactured. Synthetic oils provide scent—little therapeutic benefit. Essential oils are always diluted for massage—use no more than five drops of essential oil for every 10ml (2teaspoons) of carrier oil. Roman Chamomile Chamomile has a calming, relaxing effect. Blends well with Clary Sage, Lavender, Bergamot. inflammations, insect bites, rashes, sensitive skin, teething pain, toothache, wounds, arthritis, inflamed joints, sprains, muscular pain, neuralgia, rheumatism, poor digestion, colic, indigestion, nausea, painful menstruation, heavy menstruation, menopausal problems, headaches, insomnia, nervous tension, migraines and stress related conditions. Safety Data: Chamomile can cause dermatitis in some individuals. Use with care. Avoid in first trimester of pregnancy, thereafter use with caution. Sandalwood Has exotic, sensual fragrance—promotes positive thoughts—aphrodisiac properties in men and women. Blends well with Peppermint, Lavender, Bergamot. Therapeutic and Other Uses: Dry chapped and cracked skin, barber’s rash, greasy skin, moisturizer, bronchitis, catarrh (excessive phlegm), coughs (dry persistent), laryngitis, sore throats, acne, diarrhoea, nausea, cystitis, depression, insomnia, nervous tension and stress related complaints. Safety Data: Avoid in pregnancy. Neroli Neroli oil, which has orangy scent, helps calm emotions—works as sedative. Rose One of the least toxic oils, rose works as a powerful anti-depressant—helps with problems of female reproductive system. + 10. What does Reflexology do? How does it work? Reflexology is the alternative medicine method of applying pressure to hands, ears and feet. It is effective for the relief of: Pain, arthritis, backache, stress, headaches, migraines, mild depression, eczema, other skin disorders, menopause, digestive problems, allergies, asthma and many other ailments. Reflexology works by stimulating the reflex points in the feet. It creates a healing response to the rest of the body, stimulates the body’s natural healing system and returns the body to its natural equilibrium. The feet tell a lot about the state of parts of the body. A reflexologist may not diagnose, but she identifies and works on problem areas during treatment. + 11. Can Reflexology do any harm? No. Reflexology cannot harm, but, after a reflexology session, as with other natural therapies, (homeopathy, acupuncture), symptoms often worsen before they get better. Why is this so? Reflexology creates a reaction within the body—it is the jump start of the body’s healing system and leads to healing. + 12. How many Reflexology sessions do I need? It depends on the purpose of the treatment. As a general relaxation and stress relief therapy—use the sessions individually as desired. If used as a stress maintenance treatment—on a regular basis—once a week, to once a month, throughout the year. If used for a particular illness—8 to 10 sessions, once weekly. Solar plexus and diaphragm reflexes: prompt these parts to set up regular breathing pattern and channel relaxing signals to muscles and organs in the abdomen. Pituitary gland reflexes: stimulate the pituitary to align specific hormonal balances in the body—it brings a calming sensation. Thyroid and parathyroid gland reflexes: encourage these glands to bring muscle tension into balance—it affects the overall tranquillity of the body. Lung reflexes: prompt the lungs to increase the blood’s oxygen level—it enhances the metabolic processes that refresh and nurture the body. Kidney reflexes: triggers the kidneys to align fluid balances that affect blood pressure. Spine reflexes: prompts spinal cord, with about half of bodies’ nerve cells, to soothe nervous responses. Solar plexus and diaphragm reflexes: induces solar plexus to send signals that leave the body relaxed. + 13. Do you do traditional Thai foot massage? Based on Traditional Chinese massage of the feet (soles, heels and upper surface), which are said to be mirror images of the body, Thai Foot Massage is a gentle and effect manner in which to stimulate all the reflexes and help balance the body on all levels by improving the blood and lymphatic circulation. + 14. I know Acupressure is a Chinese technique, but what is it really? · Acupressure points can help in the relief of musculoskeletal pain. 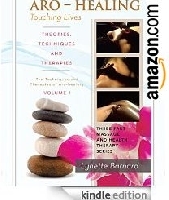 · Acupressure is based on the principles of Acupuncture. This ancient Chinese technique involves the use of finger pressure on specific points along the body to treat ailments such as tension, stress, and arthritis. It was developed in China over 5000 years ago. Acupressure points run along the meridians in the body. When this energy is interrupted due to pain, injury, swelling and illness, it is recognized as a block of energy or Chi. Meridian points are referred to as ‘tender spots’ to touch. The technique derived from Acupuncture is an ancient healing art. Acupressure uses the fingers to press key points on the surface of the skin to stimulate the body’s natural self-curative abilities. When key points are pressed, they release muscular tension and promote the circulation of the blood and body’s life force to aid healing. Acupuncture and acupressure use the same points, but Acupuncture use needles, while Acupressure use gentle but firm pressure of the hands (and even feet). There is scientific data to demonstrate why and how Acupuncture is effective. Acupressure is the eldest of the two traditions—neglected after Chinese developed more technological methods to stimulate points with needles and electricity. Acupressure continues to be an effective method for self-treatment of tension-related ailments by using the power and sensitivity of the human hand. The foremost among the advantages of the Acupressure’s healing touch. Safe to do on yourself and others—even if never done before—as long as instructions are followed. Pay attention to cautions. There are no side effects from drugs—because there are no drugs—only equipment—own 2 hands. Practice Acupressure therapy anytime, anywhere. Acupressure points can help in relief of musculoskeletal pain—restricted movement of joints, migraines and headaches, menstrual work related), conditions, fatigue, stress (emotional or insomnia, sciatica, asthma, and lower back pain). Chinese medicine regards ‘Chi’ as the body’s vital energy—flows through channels called meridians. Meridians—separate from circulatory or nervous systems—independent network—have acupuncture points along them. The Chi comprises of 2 elements—’yin’ and ‘yang’—they are complex entities. Yin is the male principle. The opposite, yang, is the female principle. In health, the yin and yang is in fluctuating balance with each other. If thrown out of balance, Chi can no longer flow freely through the body—result—illness. + 15. What is the difference between acupuncture and acupressure? complementary medicine technique from Acupuncture—Acupressure—physical pressure applied to Acupuncture points by hand, elbow, or with various devices. Traditional Chinese medicine’s (TCM) Acupuncture theory predates the use of scientific method Acupuncture—the procedure to insert and manipulate needles into various points on the body to relieve pain or for therapeutic purposes. The acupuncturist corrects an imbalance in the body’s energy flow, or Chi, by inserting needles at specific points. The traditional Chinese Acupuncture chart shows meridians, or channels of the body’s energy flow, and pressure points. An ancient Chinese technique, Acupuncture works by releasing the body’s vital energy, known as Chi. Once this life force flows freely the number of physical problems are relieved—from headache to asthma. In China, Japan and other parts of the Far East, it is the most common form of treatment. It is effective in dealing with pain and with physical problems, such as arthritis, asthma, headache and eczema. · In 1979, the World Health Organization recognized Acupuncture as a successful treatment for 40 diseases, including ulcers, migraines and painful menstruation. · Acupuncture has remarkable pain-killing powers—also used during surgery. When the needle is inserted into the Acupuncture point—the body releases its own natural painkillers—endorphins. · The origin of this ancient technique is shrouded in mystery. The founder is believed to be Shen Nung,—known as—Yellow Emperor, who lived around 2700BC. · Acupuncture is successful with patients suffering from emotional or psychological problems—such as anxiety and depression—as well as physical conditions. An acupuncturist will study the eyes, skin and tongue to gain an impression of the general state of health. A pale tongue, for instance, is a sign of poor diet or anaemia. + 16. What does an acupuncturist do? An acupuncturist corrects an imbalance in the body’s energy flow, or Chi. He inserts needles at specific points. A Traditional Chinese Acupuncture chart shows meridians, or channels of the body’s energy flow, and pressure points. The actual treatment—inserting of needles—should not cause any pain. The acupuncturist may insert them just below the surface of the skin, or several centimetres deep. He may leave them in place, or he may rotate them in position. The needles may also be heated with dried herb, moxa, on tips—the process is known as moxibustion. Treatments can last up to an hour and you will usually need a course, depending on the condition. Many people use Acupuncture as a successful means of giving up smoking. It is also used to treat other addictions—alcohol, sleeping pills or other drugs. Traditional Chinese acupuncture charts show meridians, or channels of the body’s energy flow, and pressure points. Acupuncture works by releasing the body’s vital energy, known as Chi. Once this life force is flowing freely, a number of physical problems can be relieved, from headache to asthma. In China, Japan and many other parts of the Far East, it is one of the most common forms of treatment. It is effective in dealing with pain and specific physical problems, such as arthritis, asthma, headache and eczema. Having made a diagnosis; the acupuncturist decides where the Chi has been disrupted and inserts sterile needles at relevant acupuncture points. He inserts needles around the problem area or in different part of the body. For instance, he may treat migraine by inserting needles in the hand, knee, foot or ear lobe. + 17. What ailments can Acupuncture treat? Many people assume that acupuncture is used as a simple pain control technique where needles are inserted to interrupt nerve pathways that send pain messages to the brain, but it is much more. It is designed to treat any malady and works to balance the energy of the entire body. That a needle stuck in one’s foot should improve the functioning of one’s liver—it is obviously incredible. Cure-all or con trick? Today, there is an increase in the number of people that turn to Acupuncture. Though not a miracle remedy, it does offer an alternative method to relieve pain and modern stress-related complaints. Acupuncture needles are inserted in any of the thousand or so points along the meridian lines. The acupuncturist corrects an imbalance in the body’s energy flow, or Chi, through needles inserted at specific points. These points work on the meridians or channels of the body’s energy flow and pressure points. The imbalance between yin and yang can spring from a variety of causes—a poor diet, lack of exercise, a bad posture, emotional strain, lack of sleep. If the flow of Chi is disrupted, it won’t reach certain areas of the body—a painful condition will develop in the specific area, such as sciatica. If the Chi is blocked, build-up causes inflammatory conditions such as arthritis or migraine. The lack of Chi can lead to a lack of energy. The acupuncturist aims to set the Chi flowing freely. He looks at specific ailments as well as breathing and your voice. He takes 12 different pulses, six at each wrist, each of which relates to different functions of the body. Finally, he may ask about your lifestyle and if symptoms change at different times of the day. + 6. Please mention the different types of Massage Touch Techniques and Massage Therapies. Name a few of each Therapy's own unique features. Aromatherapy massage is a popular, professional massage technique, using the application of essential oils to enhance emotional and physical wellbeing. These essential oils are carefully selected, each having their own distinctive aroma and unique set of moods. Dating back to ancient Egypt, India, and the Far East, this simple therapy has been used for centuries to reduce stress and tension, refresh and invigorate, rejuvenate and cure, soothe emotions, and clear the mind. Ayurvedic massage therapy is an ideal remedy for pain. This massage therapy acts as a real cure in case of arthritis, rheumatism, neurasthenia, high or low blood pressure, sciatica, paralysis, polio and insomnia. In all these cases, your health care provider also prescribes specific medications, changes in daily habits, exercise, etc. along with massage therapy. Chiropractic is a health care profession concerned with the diagnosis, treatment and prevention of disorders of the neuromusculoskeletal system and the effects of these disorders on general health. This is a massage therapy with a smooth, flowing style that promotes general relaxation, relieves muscular tension and improves circulation. Reflexology is mainly based on manipulation of areas of the hands, ears, and feet to effect healing changes in the rest of the body. It uses deep pressure on those points and has a range of movements. This is an enforcement therapy of Aro-healing. As the name states ‘Aro-healing Revised’. It is known as ARC—in the same way that Traditional Chinese Medicine is known as TCM. Reiki maintains the balance of the flow of life force and energies in your body, and treats the mind, the body, and the spirit at the same time. It helps to lessen physical pain and emotional stress. It is a Japanese massage therapy. This therapy uses pressure points similar to acupressure massage to balance the flow of energy, stimulates circulation of the hormonal system and immune system, releases toxins, and promotes healing in the body. This massage therapy helps to reduce blood pressure and muscle stiffness. Sports massage is geared towards participants in athletics. It helps prevent injuries, prepares the body for activity and maintains it in optimal condition. It helps the athlete recover from workouts and injuries. Not only do elite athletes use Sports Massages to gain an edge on the competition—everyday fitness enthusiasts use it to enhance recovery and prevent injuries.